“We are what we eat,” as the saying goes, and we know we need food and water to keep our bodies working properly. Even in ancient times, people recognized that food was necessary for life. In the reading from Exodus, we have just one example of the complaints of God’s people when they were hungry and thirsty! Just as we need daily food for our bodies, we also need daily nutrition to keep our faith strong. Too often we think we’re too busy to take time for the Lord. 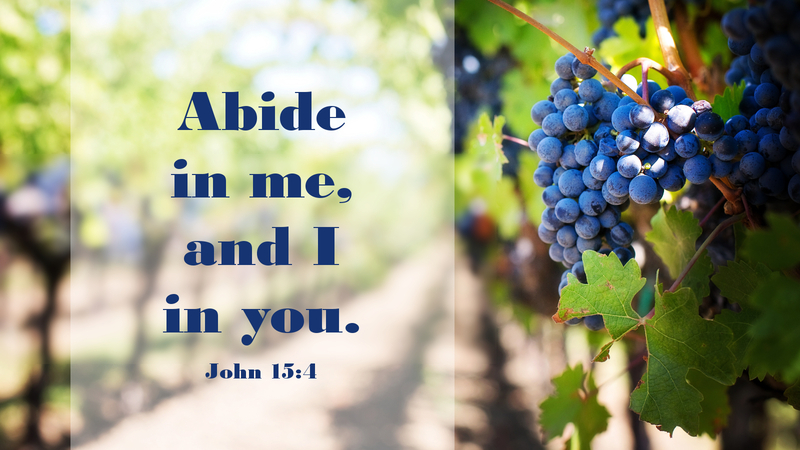 Jesus makes it very clear that this is not going to work, and says, “Abide in me, and I in you. As the branch cannot bear fruit by itself, unless it abides in the vine, neither can you, unless you abide in me” (John 15:4). The fruit He speaks of is our faith in Him and the loving deeds that faith brings forth for the good of others. Gathering with other members of the Christ’s body for worship and Holy Communion, praying, and reading the Bible are just a few of the ways we can stay attached to the vine of Christ, where we are nourished and brought into His Life. Prayer: Gracious Holy Father, we thank you for our Lord Jesus and the fullness of life He gives us in His death and resurrection. Amen. Today’s devotion was written by Barbara Wills, pastor of Peace Lutheran Church, Northwood, IA.